Learn TaeKwondo the Korean Martial art with a P.U.M.A international Competitor and Black belt instructor. CRB and Child protection policy. Traditional training with a modern approach. 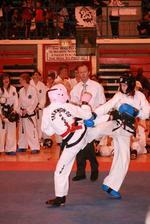 Improve self confidence all in a Safe, Friendly and Fun Atmosphere.